Communism was very efficient at sucking creative juices out of those less persistent, as well as the will to do things that weren’t widely accepted in the society. One of those things was slightly more ambitious genres of music, be it jazz, rock and roll or prog rock. After all, it’s a known fact that what the powers that be don’t understand will be treated by them as a threat to their status. Despite that fact, music was everywhere and bands would be formed by the thousand, no matter what the Communist Party’s reactions they would meet with. Polish music stores offered nothing decent one could do some drumming on. 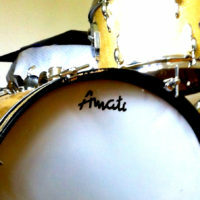 One had to know a guy who knew a guy to buy a Polmuz kit (), wait for months and months for Mr. Szpaderski to make his custom kit (http://en.beatit.tv/drums-made-in-poland-szpaderski/) and the Czech Amati (http://en.beatit.tv/amati-once-an-object-of-desire-for-40-years/) was just a dream. It certainly was the case in Poland. What was the situation like further east, in Belarus, the Ukraine, Lithuania, Latvia, Estonia or Russia? Also there, there were restless souls looking for ways of artistic expression and instruments to achieve that goal with, including the drums. 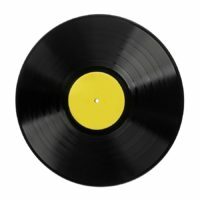 What were those instruments from the Eastern Block like? Did they differ from western standards? Just read the article below to find some answers to these questions. “You were right saying the kit was made in the Soviet Union. 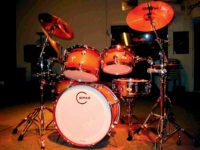 To be exact, your drum set was manufactured at the EPOIMI facility (Experimental Music Instrument’s Factory). Later, the company went on to become RMIF (Rigas Muzikas Instrumentu Fabrika, or the Riga Music Instruments Factory), based in Latvia. 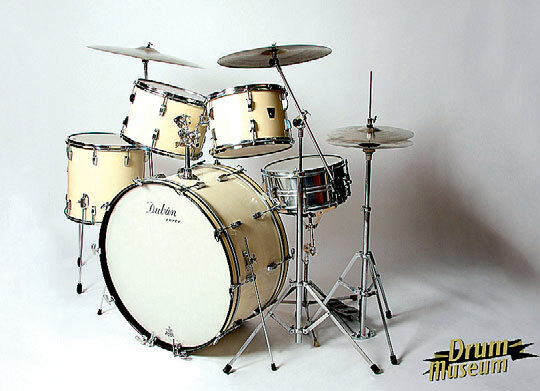 It was so hard for you to identify the manufacturer because it never had a website (they went out of business in the early 1990s), and company badges including the logo and serial numbers were in the form of yellow and blue paper stickers slapped onto tom and bass drum shells. I can assure you the shells are 100 per cent made from birch (apparently in good quality), with reinforcement rings. Your kit was most probably made in the period between 1985 and 1991. That’s just about it when it comes to the upsides. At the time, the Soviet Union had plenty of forests and timber (in this case, birch and maple), but the hardware was very poor quality. Most of the metal parts (lugs, claw hooks, etc.) was made from the dreadful Zn-Al-Cu alloy, which basically cracks from as little as being touched. A nasty wrap would be sloppily put on the beautiful shells, which were carelessly splattered with glue. Did you notice green and white stains once you got the wrap off? If so, you must remember how difficult it was to polish them off. 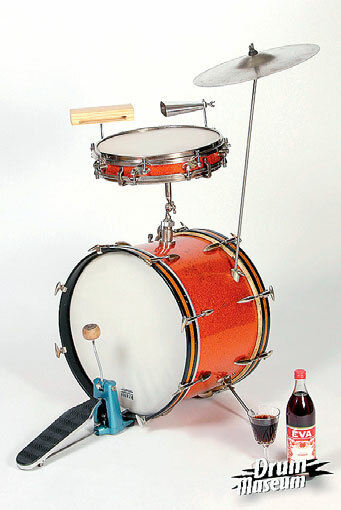 The bearing edges were uneven, and the bass drum was fitted with a metal hoop (just like the ones mounted on tom toms) and short, unstable legs. By the way, the bass drum pedal had no hoop attachment system and would be mounted to the kick drum only by a groove which the hoop would fit into. This makes mounting a standard pedal almost an impossibility. I got my EPOIMI as a gift bought really cheaply. It seem good for nothing, but…after a long renewal process, which involved getting rid of all the hardware (hoops, lugs, tension rods) and leaving only bare shells, cleaning them, evening the bearing edges, painting, it turned out not so bad after all. I bought new hoops for the kick drum, which makes it possible to mount any pedal to it, and the kick doesn’t seem so shallow now (yours is probably 14″ deep as well). I also fitted new bass drum legs, lugs and air vent rings. I put a new and much more tasteful wrap on the bass drum, which makes the whole thing look esthetically, I think. It’s possible to get a decent sound out of this baby, but it means stripping the whole thing to the bear plywood, renovating it and getting new hardware. 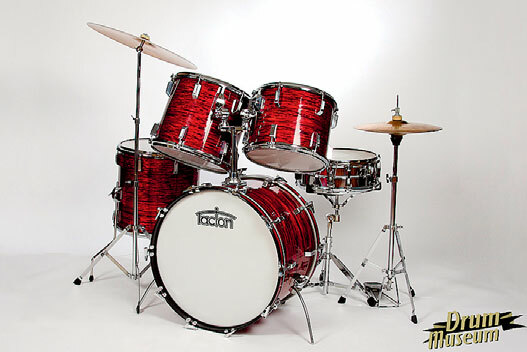 It’s actually cheaper to sell this kit and buy a medium priced second hand birch set. Unless it’s for fun and out of sentiment like it sure is for me. I can also add that the EPOIMI I have features a lot of solutions copied from other manufacturers: old Premier kits (kick drum lugs, footboards) and Tama (tom holders and their mounts). The only original, characteristic (and terribly impractical) solution is the bass drum hoop I described above. 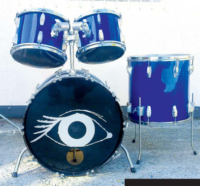 EPOIMI probably made a few series of drum kits. Kozmosz (Kozmosz Music Intruments Manufacturing and Repairing Association). 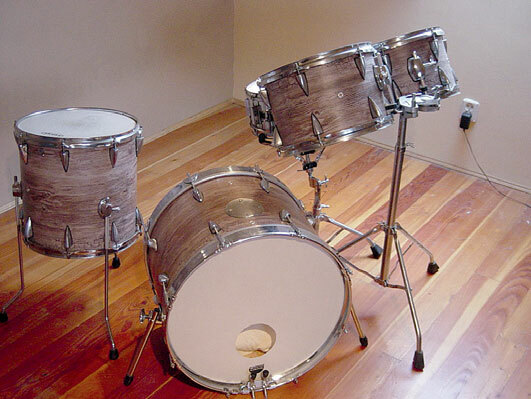 Very economical, “cocktail” kits from the U.S.S.R. Made at the lowest cost possible, hence an 18″ kick drum and a very shallow snare. 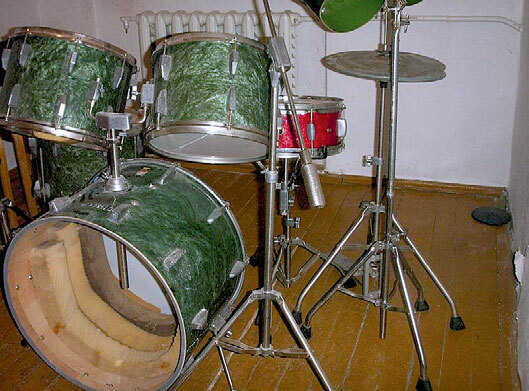 The kit was meant to be played standing. One of the most renowned workshops in the history of Hungarian drum products. 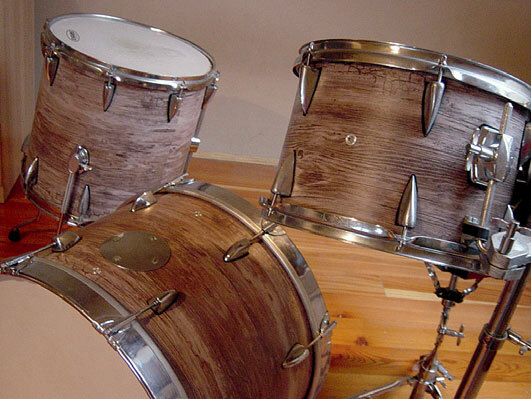 Most of Mr. Dubán’s drum kits were made from birch. He also manufactured all the hardware (stands, hoops, lugs, tension rods) himself. The photos feature 1960s and 1970s sets. Green Pearl: 20″, 13″, 16″, 14″ x 5″ wood snare. 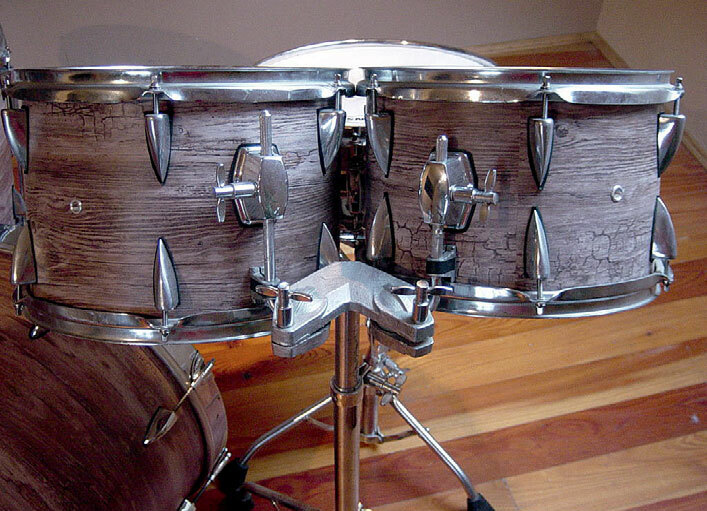 The lugs are somewhat copied from Ludwig, huge wings on kick drum tension rods, the tom holder impossible to fine adjust. 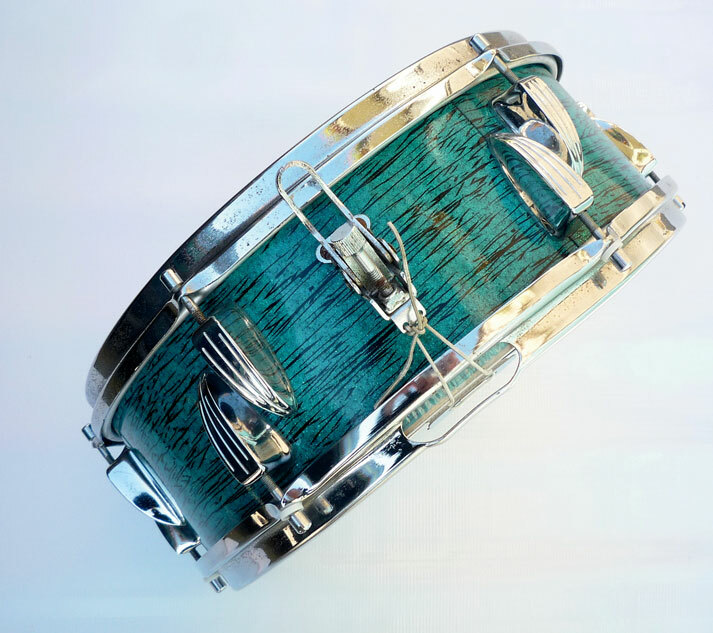 Tiger: 20″, 12″, 13″, 16″, 14″ x 6″ metal snare. 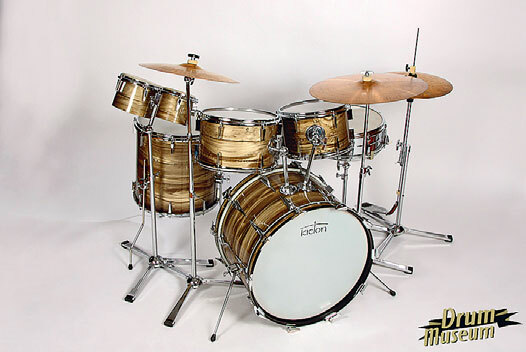 Dubán 1962: 26″, 13″, 14″, 16″, 14″ x 6.5″ metal snare. The wrap was originally white, but went yellow with time. Anton Medveczky seems to be a legendary figure in the history of the Hungarian music business. He started his career in 1935 as a drum teacher. Unsatisfied with the instruments available in the market at the time, he decided to manufacture them himself. After the first successful attempt (and sale), the interest among musicians became so big that Medveczky opened his own workshop and a music store, which took place in 1942. 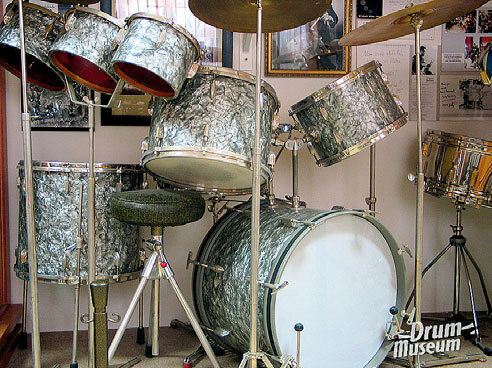 He made and sold drums both against custom orders and for other music stores. Since most of the music instrument business was located in the US in the 1940s, Europe was being torn by World War II, and because access to drums and percussion instruments was very limited, Mr. Medveczky created a great deal of technical solutions himself or at the suggestion of other musicians. After 1945, when Mr. Medveczky’s business partner was killed in the war, things went into decline. The production wasn’t relaunched until 1961. To a large extent, it was still custom-order production, where 90 per cent of the components were made on the spot by the shop owner. The 1980s marked the first signs of mass production from China and Taiwan, which spelled an inevitable end of Mr. Medveczky’s operation. Trowa is quite easy to come by in Poland. 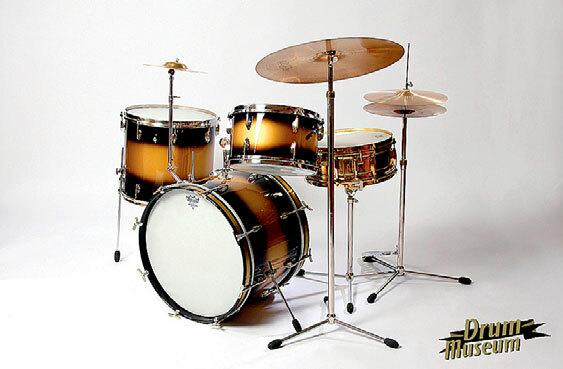 As far as vintage drums made in this part of the world are concerned, it is number four right after Polmuz, Szpaderski and Amati, together with another German brand – Tacton. 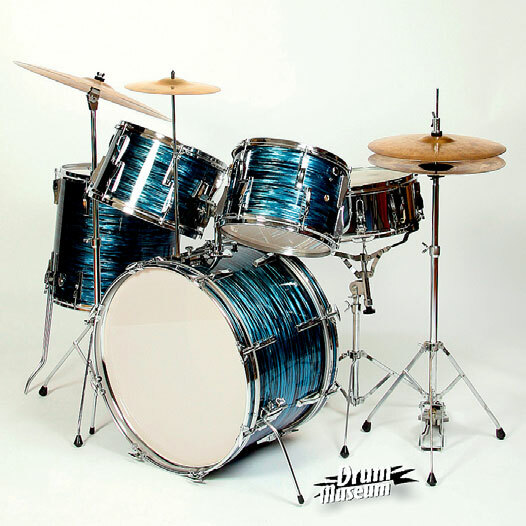 When the Eastern Block was in existence, Trowa drums (along with the Czech Amati) were the best selling brand in the member countries. Unfortunately, it is difficult to obtain any detailed information. A member of an American forum very aptly described Trowa and Amati: “Those were kits made from good materials by good craftsmen, but the quality of production would leave a lot to be desired and spoil the end result”. 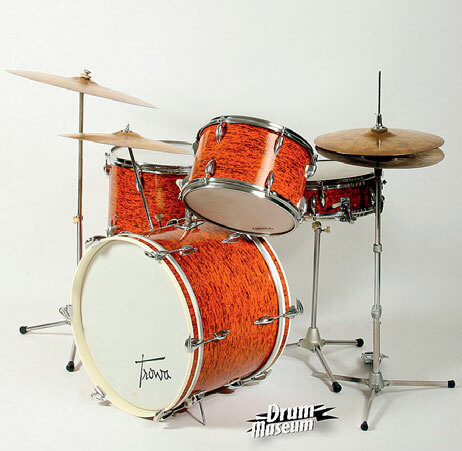 The kit depicted here was made in the 1960s. The sizes are: 20″ x 14″, 13″ x 9″, 16″ x 16″, 14″ x 4″ snare with strainer adjustment on both sides. Tiger wrap, which was available from Pearl at the time. Kit no. 1 was made in the 1960s. Beautiful, pearl brown wrap, standard shallow shells and Star-Trek-esque hardware on broad legs. Those stands (just like the drums) are quite popular in Poland and can be bought very cheaply. Kit no. 2 was made in the 1980s. Standard configuration, however, the toms are very deep. A 22″ x 16″ kick drum, unstable but less futuristic hardware. Another product from the former German Democratic Republic. Very rare in Poland, erroneously sold as Trova or Tacton. The budget version included plastic lugs, very thin shells made from God knows what, smooth white skins, featherweight hardware, but also beautiful wraps. Most of the snare drums were equipped with an archaic lever strainer, which worked rather unreliably and the player could never be sure when the snares would switch off themselves. 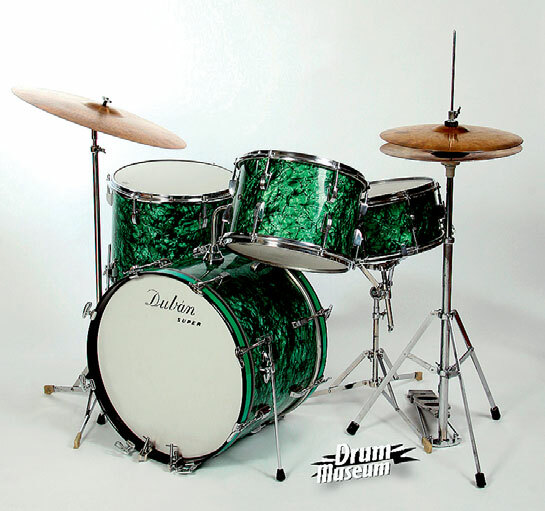 The green set in the picture was used in a studio on a jazz recording with an excellent result. I kid you not! As source materials in this matter are basically non-existent, I was forced to describe this highly interesting subject in a minimalist way. The saying: ‘If it doesn’t exist on Google, it doesn’t exist at all’ seems to have been proven right in this case. I deliberately omitted Trixon and Sonor because they were not made in a communist country. Believe me, West Germany was a completely different world at the time. Those drums were so magnificent and original that they deserve a separate article. 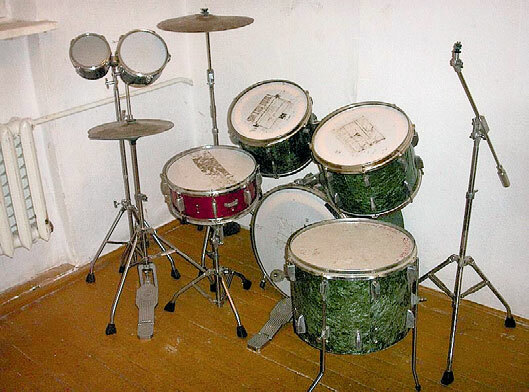 One more time, I ask to you, Dear Readers, to identify your drum kits and try to learn as much as possible about them because in 20- 30 years’ time we all may regret we didn’t give them the necessary attention. I would like to thank Wiktor Drozd and Tomasz Zamorski. They are the drummers who have taken a lot of time to renovate what may have seemed worthless crap. It is their knowledge and passion that made this article possible. 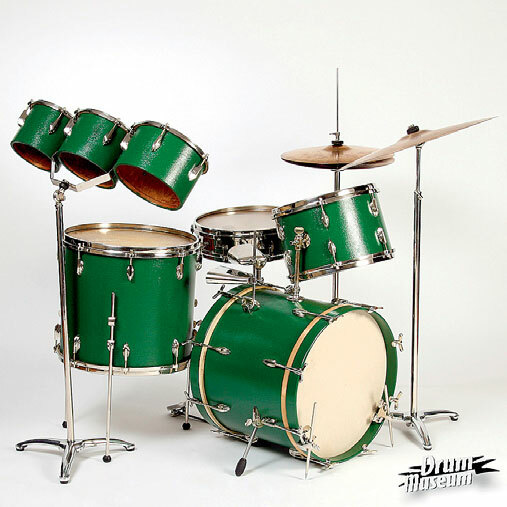 A big ‘Thank you!’ goes out to the Hungarian drum museum called Dobmúzeum (www. 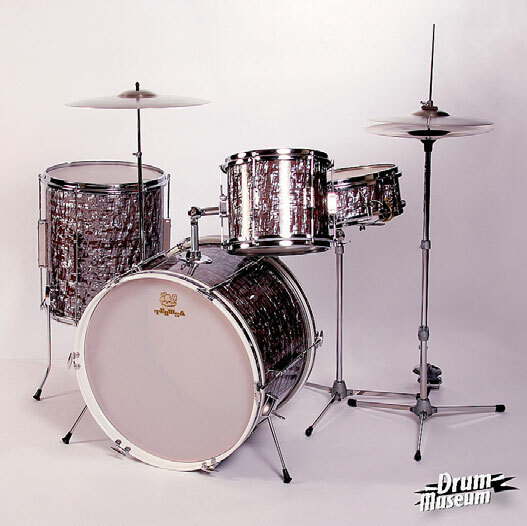 drummuseum.hu) for facilitating photos and detailed information from their web page. 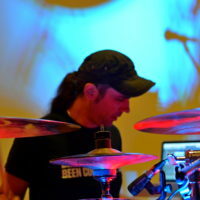 Mateusz Wysocki is known to many Drummers and Drummerettes in Poland from his work at the Avant Drum Shop (based in Poznań, Poland). As of this year, he has started his own business dealing solely with vintage drums, which is called MW-Vintage. 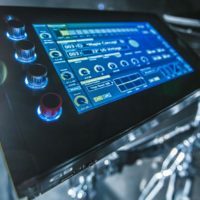 He is also an active drummer, currently touring and recording with the band Neons of 101, as well as a lover of all things vintage as far as drum kits, snare drums and hardware are concerned. 3. TACTON was made from Duroplast, not fiberboard. There were also beech shells. Duroplast smells of bakelite and I’ve also heard legends of the urine smell (right now, I own a TACTON made from Duroplast). 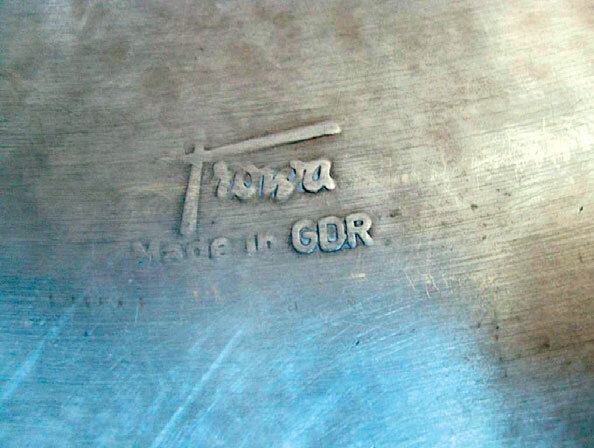 One of our German viewers, Herbert Heim, has refuted the author’s information about the location of Tromsa production. 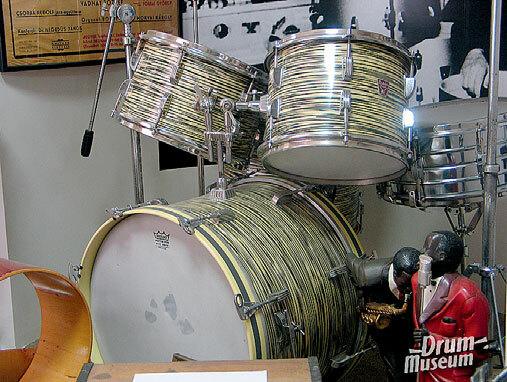 Those drums were manufactured in the town of Rüsselsheim in the former West Germany. Thank you for clearing that up!